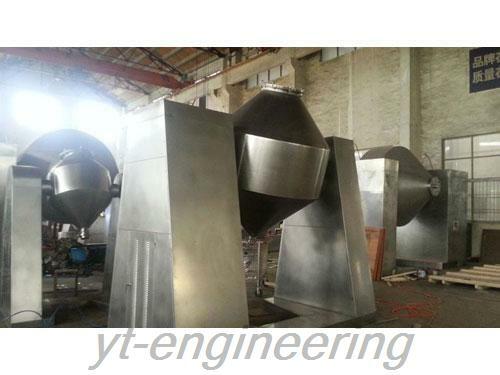 Trough food mixer machine is mainly used in pharmaceutical, food, chemical and electric industries for dry powder mixing. Groove mixing machine is especially suited to high uniformity materials. 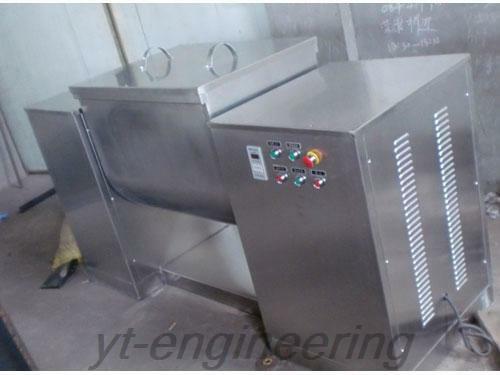 Trough food mixer machine is characteristic of compact structure, simple operation, elegant appearance, small floor area, easy cleaning and high efficient mixing. 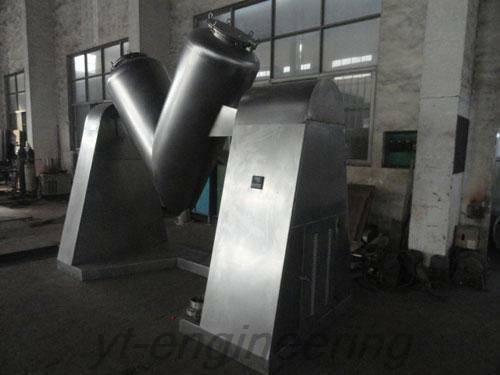 Yutong possesses 10 professional engineering and technical personnel and over 100 sets of processing equipment. 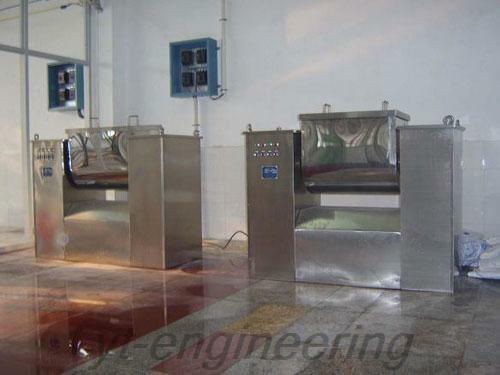 We implement strict quality control system to guarantee the performance our trough food mixer machine. 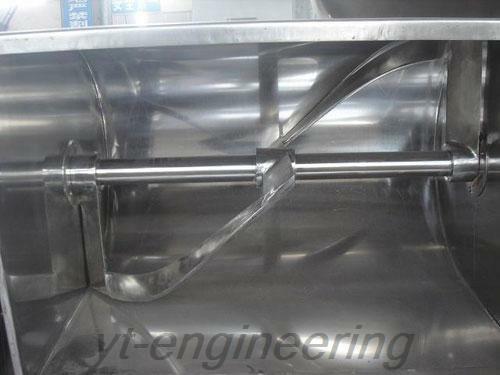 The quality of groove mixing machine is repeatedly checked during each stage of production. 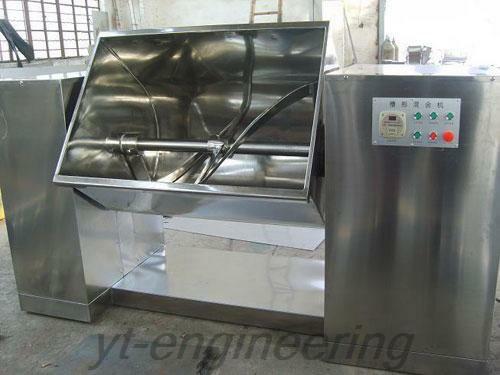 Additionally, mixer machine as well as other machines must undergo a trial run in the workshop, and only those qualified products are allowed to leave the factory.